Ever since I’ve started to dye my hair 2 years ago, I started caring a lot more about the color of my eyebrows as well. The dark black eyebrows didn’t match with any of my hair colors and for that reason it bothers me. Filling in my brows doesn’t seem to get it to a light enough color so I tried using eye brow mascara or browcara. 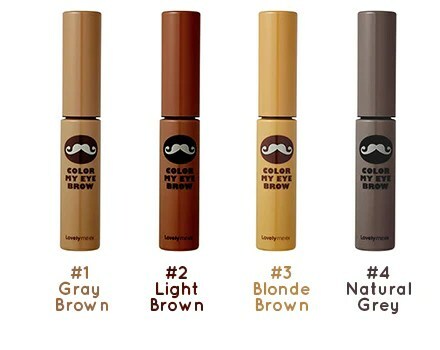 The one I’ve tried so far is the Face Shop’s Lovely me:ex Color My Eyebrow. It comes in 4 different colors and I bought it in the 01 Gray Brown color for under $10. The container is shaped very much like a normal mascara but the brush inside is more like a small tooth brush than a mascara. 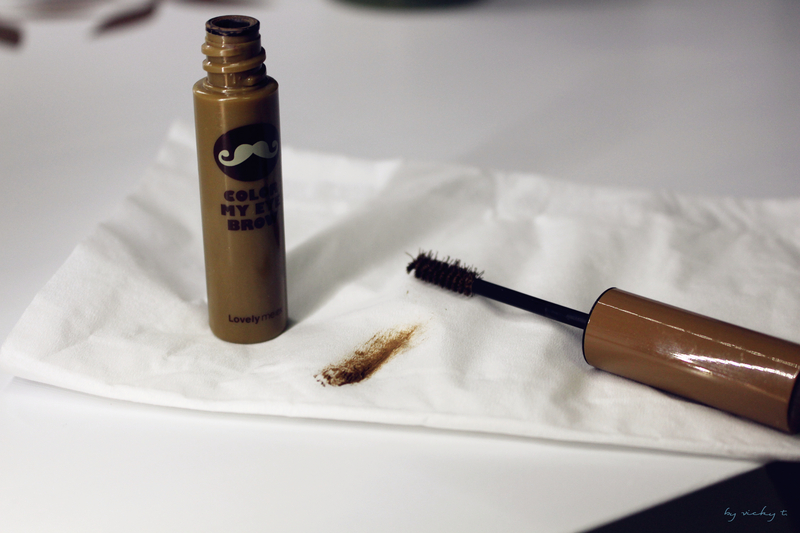 Unlike eye mascara, it’s a very “wet” formula so it could coat each of your brow hairs. 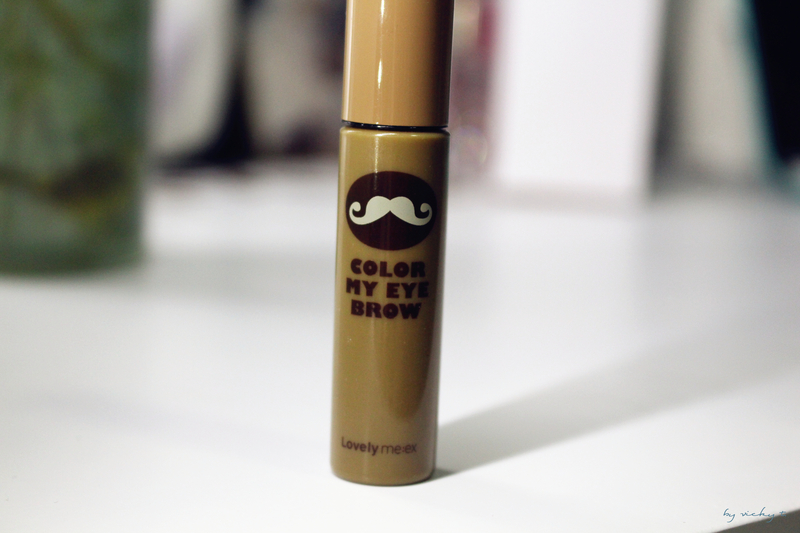 I haven’t tried other brow mascaras so I can’t compare but this one colors my eyebrows very evenly and has a really great staying power yet removes easily with makeup remover. I haven’t notice the flakes that I would from some eye mascaras as well. How I normally apply it: After I fill in my brows with a eye brow pencil, I brush it once inwards starting from the ends of my eyebrow and then run it back the other way to smooth out the hairs. 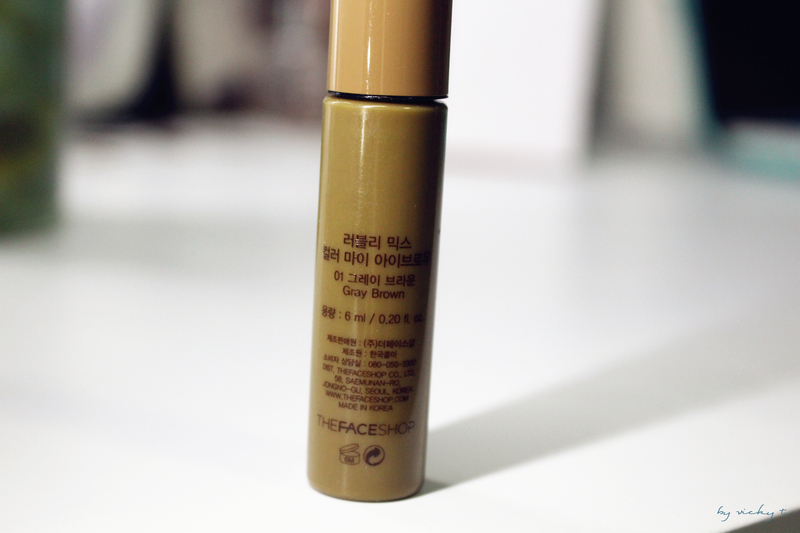 This gives me an even coat and I typically don’t need any touch ups the whole day. I really like this product and have been using it for a long while. So, I’ve been itching to try other ones as well haha. I’ve especially want to try the Innisfree one since I’m a big fan of their products. Do you use brow mascara as well? Well then, we can surely say: it’s waterproof 🙂 ! Thanks! Blonde Brown Eyebrow color suits me! I actually have never used brow mascara but it does sound interesting!!! How cute the packaging is!! !